This project is an Internet based checklist of the life and works of the 19th century French Academic artist Emile Munier. Images and available documentation will be added and updated on a continuous basis. 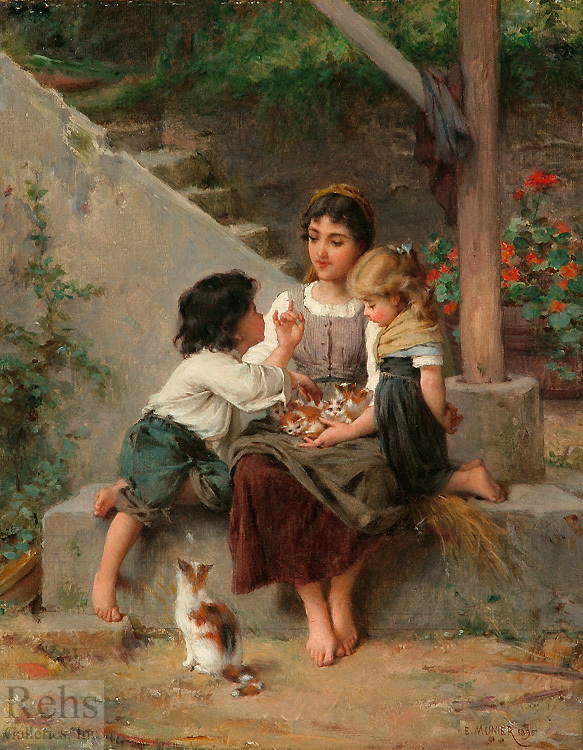 Emile Munier was born in Paris on June 2, 1840 and lived with his family at 66 rue des Fossés, St Marcel. His father, Pierre François Munier, was an upholstery artist at the Manufacture Nationale des Gobelins and his mother, Marie Louise Carpentier, was a polisher in a cashmere cloth mill. Through the 1860s, Emile Munier received three medals at the Beaux-Arts and in 1869 he exhibited at the Salon. 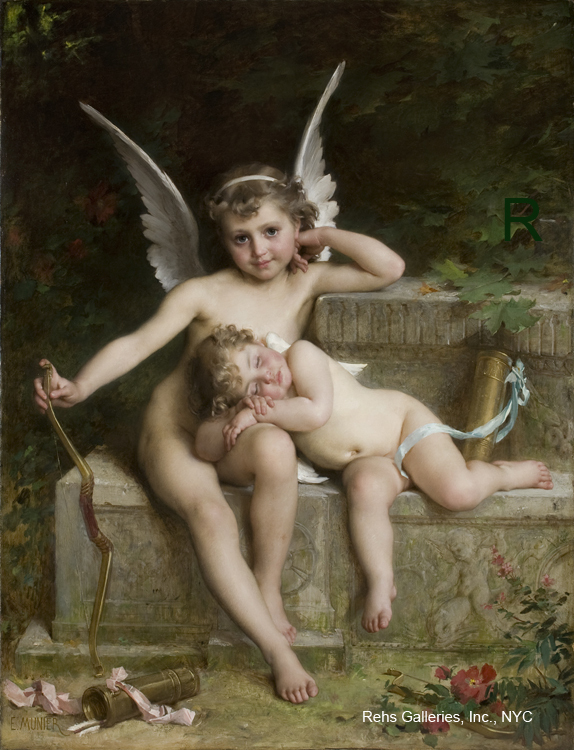 Munier became a great supporter of the Academic ideals and a follower of Bouguereau; whose subject matter was to become a great inspiration to the young Emile. 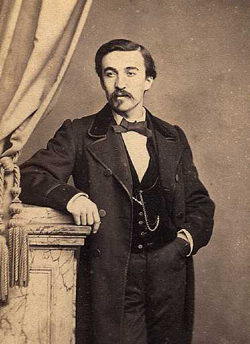 Munier entered the studio of William Bouguereau; as evidenced by the fact that in the Salon catalogue for 1872 he is now noted as being a student of not only Lucas, but Bouguereau. Over the years the two became close friends; Bouguereau even had a nickname for him - la sagesse (wisdom) or le sage Munier (Munier the wise). We are asking that people with information concerning the life and work of Munier, please contact us. We are interested in finding letters, sales (both private and public), images of works, photos of the artist and publications in which the artist, or his works, are mentioned. The ultimate goal of this project is to uncover all available information on the life of Munier and create an Internet based catalogue raisonné of his work.